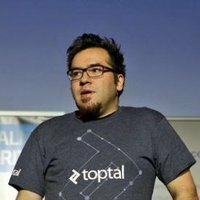 The event will include a talk about CSS Flexbox from Laureano Arcanio, Toptal developer. Laureano is a web developer with a variety of skills gained over the last 7 years. He has worked for large companies such as Intel, and has learned to provide quality, state of the art solutions. He is a perfectionist who sticks to deadlines and always delivers great products. The event will take place on May 31st at Surf Office.